Our service provision involves the delivery of a fully covered skip which is specifically designed to take in the maximum volume of waste in one collection. It is suited to situations where there is frequent generation of light, compatible materials such as paper, cardboard or plastics. 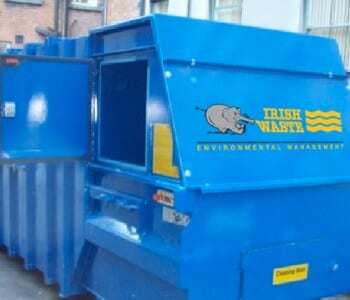 Irish Waste can also provide compactor units on a lease purchase or rental basis if required.